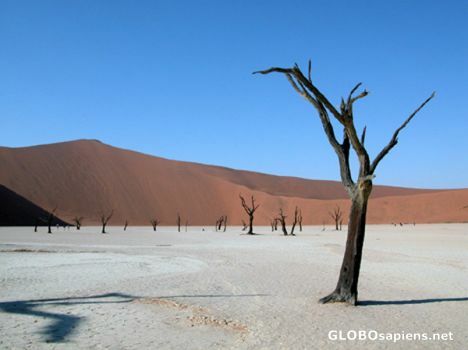 You are here: Member pages » daniserralta » pictures » Death trees at Deadvlei. Wonderful view of the death trees and the scary area. I didn't saw it from that point of view. So great. you're right. It looks like a Dali painting! Another 5* gem. The desert is natures art gallery? Great composition. Especially with the lone tree in the foreground. A very nice picture too.. This foto is one maravilla! Excellent. Ther perfect picture. You need to see it. A description won't work.